With a population of over 120,000 people, Warren is one of the largest cities in Macomb County Michigan and faces a significant drug crisis. Though the state of Michigan with over 9 million people also struggles with the growing epidemic of drugs, Warren has seen an alarming growth in drug use numbers and their consequences. Macomb County ranked second among regional recovery centers for the highest number of opioid-based treatment admissions, which relates to a 12.2 percent increase from previous years. Heroin admissions were highest (36 percent), followed by alcohol abuse (31 percent). Eleven percent of admissions were due to prescription pain pills. The numbers are also concerning to Michigan officials because of the rate of growth among young people. Five percent of youth aged 12‐17 years reported current illicit drug use other than marijuana. There was an increase in heroin use among Macomb high school students as well, from 1.9 percent to 3.4 percent. If you live in Warren, and have fallen victim to substance abuse don’t hesitate to seek treatment. There are enormous resources in at your disposal. Drug-related deaths continue to soar with opiate-related deaths amounting to 19.4 percent, heroin deaths at 12.1 percent, benzodiazepines at 9 percent, and cocaine at 4.4 percent. A cocktail of both cocaine and heroin amounts to 4.3 percent of overdose deaths in Michigan. The problem of heavy alcohol use and binge drinking continue to be a problem. The statistics show that 27 percent of adults and ten percent of youth have engaged in binge drinking in the past month. Alcohol abuse in the state continues to account for long-term medical issues such as liver disease as well as accident-related deaths such as driving under the influence. The growing popularity of synthetic marijuana continue to increase, as well as the medical issues they cause. Containing THC like marijuana, these manufactured drugs have led to 533 emergency department visits in the past year. 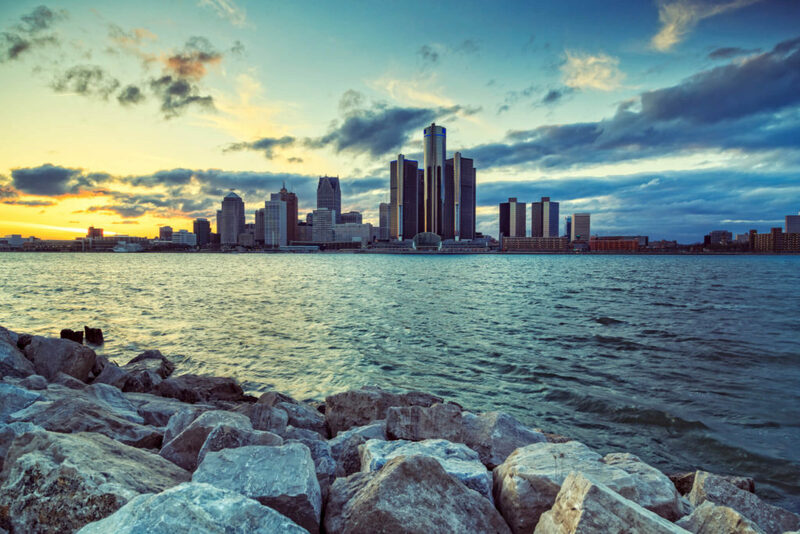 Government officials look to economic issues and their impact on the personal development of Michigan citizens. Poverty and job loss often lead many down the spiral toward dependency and addiction. With continued drug and alcohol use, depression and other emotional problems create a void in which many find it difficult to escape. While recreational use of drugs may not seem critical, especially in youth, the continued use of many addictive substances eventually creates an unstoppable dependency that leads to addiction. Understanding the impact of illegal drugs and their effects on individuals is critical to offering help. There are several key risk factors. When using drugs becomes so normal that not being high leads to anxiety, depression and often physical illness. When reliance on the drug is this strong, it is time to get help. When attempts to quit using drugs has failed repeatedly, then dependency has most likely become an addiction. As addiction deepens, personal spending becomes focused on drugs. Often, more essential aspects of personal finance are abandoned, including rent, food and bills. Using drugs often leads to behaviors that can be dangerous. Attempts to buy drugs may mean traveling to unsafe neighborhoods or interacting with individuals who may be dangerous. Drugs and alcohol use over time may also include driving under the influence as a normal function, which can be both hazardous to the user and to others. When drugs take center stage to a life, then everything is abandoned. School performance usually declines, often leading to dropping out. Jobs are lost and relationships suffer. Addiction behaviors are consistent whether its alcohol abuse or the many addictive drugs available. Often used to treat anxiety these drugs can produce long periods of euphoria but also suppress respiration, which can often lead to overdose death. An estimated 14-20 million people worldwide use cocaine. As a powerful stimulant, cocaine amps up the brain’s dopamine levels until any other feeling becomes impossible to manage for the user without coke. Twenty-one percent of people who try cocaine will end up addicted. Alcohol’s availability has made it one of the most abused drugs. Increasing the brain’s dopamine production by 260 percent makes it very difficult to escape once addicted. As a result, as a legalized substance it causes over 3 million deaths each year. The heroin epidemic in the country has often been fueled by an early dependency to prescription pills. What makes heroin exceptionally dangerous is that the dose that can cause death is only five times greater than the dose required for a high. Regardless of the drug of choice, rehabilitation is the only solution to addiction. With the help of recovery specialists and the support of family, any addict has the opportunity to rediscover a sober life. Every recovery center needs to better understand an individual’s addiction. That may mean a variety of tests and interview questions. Medical doctors and psychiatrists may get involved. Pre-intake is the process of evaluating a patient to understand the best course of treatment. In some instances, long-term inpatient care will be required. In other cases, a patient can be treated through an outpatient program. Regardless of the drug of choice, the following tests will be taken. Medical Evaluation-determining how drug use has impacted personal health. The test also examines whether existing health conditions may impact drug treatment and if any medications need to be prescribed. Psychiatric Evaluation-if drugs have affected mental health and if mental illnesses pre-exist and may be compounded drug addiction. Cognitive Testing-determining if cognitive ability has been impaired from drug use. If so, the ability to learn, understand and perceive what is occurring in treatment is undermined and must be managed differently. Toxicology Testing-determines what drugs are being taken and how much of these drugs are used regularly. In many instances, a combination of drugs is used and different treatment approaches may be designed by recovery professionals. Will a Rehab Center Ever Refuse a Patient? A rehab center will only refuse treatment if a patient has become dangerous. Beyond that, treatment centers are eager to offer help. Far more likely it is the patient that becomes reluctant, often leaving treatment when they can no longer handle the absence of drugs in their system. That’s why many treatment centers will try to determine up front the personal commitment of the addicted individual. As there is always a shortage of beds in a recovery center, many rehab specialists will question any intake patient to determine their willingness to get well. That personal dedication can lead to a faster recovery and make treatment more effective. For many addicts, rehab is a new experience. After frequent attempts to quit, the idea that they need help and that recovery centers can provide it may leave many ready for in-take with a lot of questions. What they will discover is that rehab is not only a treatment process, but a learning process as well. Drugs have changed the brain’s chemistry creating first dependency, then addiction. Rehab will work to retrain the brain back to sober living. Treatment needs to begin right away. Putting off treatment only allows the addiction to drugs to grow stronger and increases the risk for an overdose episode. There is no single rehab treatment plan. Every plan is designed around the patient based on medical history, psychological makeup and the types of drugs that are causing addiction. Rehab specialists work to create this customized plan based on information gained in pre-intake. Rehab doesn’t end with detox. The perception for many addicts is that detoxing from drugs is all that is required. In fact, drug treatment is a long process which seeks to get at the root of the addiction cause. Without this long-term process, the risk of relapse into addiction increases. Why mental illness may be causing addiction. Many addicts may not realize that a mental illness or emotional disorder is the cause of their addiction. Many addicts are diagnosed with their disorder in rehab. The presence of a mental illness complicates treatment and requires a modification of the treatment plan built around the disorder. Physical health impacts treatment. If there are existing physical illnesses such as diabetes, that also complicates treatment. In some instances, a sickness such as HIV has been acquired during drug use and that must be treated as well along with the addiction. The personal commitment of the patient matters. An addict who is not dedicated to getting well may not find rehab a successful process. The desire to recovery from drug addiction cannot be a choice made by others and passively accepted by the addict. Family matters. Many drug addictions begin with issues within the family. In other instances, the addiction has been long-term and has caused conflict with other family members. In order for an addicted person to recover, these issues must be resolved. Medications may be prescribed. There are many effective drugs that will help curb cravings and boost recovery. Rehab specialists may provide these medications while an addict goes through inpatient or outpatient treatment programs. Prescribed medications that help the addicted through recovery and long-term aftercare are different depending on the drug of choice. They are only a part of the long recovery process. Methadone is the most often used for heroin addiction. The value of methadone is that the prescribed dose can be can reduced over time. Buprenorphine is an alternative option to heroin and prescription opioid medication addiction. Buprenorphine has the advantage over methadone as it can help manage cravings without producing a high. Naltrexone blocks opioid receptors that reward the brain for drinking alcohol. This medication helps minimize carvings. Acamprosate helps reduce the symptoms of long-term alcohol abstinence including insomnia, anxiety and restlessness. This medication reduces meth cravings but requires close medical monitoring and is usually only prescribed within an inpatient setting. Gabapentin helps prevents the seizures that are sometimes associated with cocaine detox. The medication has also helped many addicts regain a sense of well-being. Modafinil has helped many recovering cocaine addicts with the fatigue and drowsiness that occur during cocaine withdrawals. Often one of the worst aspects of cocaine recovery is not getting enough sleep and this medication helps with this withdrawal symptom. Detox is the first and often the most difficult step in the recovery process. Ending drug use abruptly, detox triggers numerous physical reactions in the body. Even though medications may help ease the symptoms, detox is still a painful episode in a recovering addict’s journey. Many factors determine the severity of detox including the physical fitness of the individual, the type of drug used, how long the drug has been used and if other drugs were also used. Because of the unpredictability of the detox process, it is not recommended that anyone attempt detoxing without the assistance of medical professionals. After detox, inpatient treatment is the most common program offered to most types of recovering addicts. Thirty and ninety-day courses of treatment offer numerous benefits. Round the clock care. With treatment professionals always on call, the advantage of continuous care through cravings and depression helps overcome the risk of relapse. The company and support of fellow addicts. Group therapy brings together patients to assist each other through the recovery process. Through relatable stories and personal support free of judgement a recovering addict can recount their own stories and find solace in the realization that they are not alone in their struggle. A safe environment free of temptation. The risk of relapse comes mainly from the drug-laden environment in which an addict lives. The cocoon of residential inpatient care protects and nurtures without the influence of drug-addicted friends or negative social experiences that can trigger relapse. The option of partial hospitalization. In some cases, an addict may need to undergo partial hospitalization as part of their treatment. Residential care facilities offer this option, which accommodates the addiction while providing necessary medical care. The opportunity for lifestyle changes. In addition to support personally and medically, inpatient residential treatment may also offer the chance to change an addict’s life. A change in nutrition and opportunity to of exercise are all options that can be explored while recovering in a residential treatment facility. The long-term positive impact of these lifestyle changes helps reduce the possibility of relapse once the recovering leaves the facility. In some cases, a less severe addiction case may receive outpatient treatment. Outpatient programs allow some recovering addicts to continue a life with family and work while receiving treatment throughout the week. Outpatient usually also becomes the next step for many inpatient treatment patients. Gradually reintroducing the recovering individual into family life, work life and school while continuing to get support from recovery professionals helps reduce the risk of relapse. Outpatient may include day programs in which patients commit to regular therapy meetings as well as other types of recuperative therapy five to seven days a week. In some instances, intensive outpatient therapy is required for those well on the road to recovery who still need support. It is through outpatient programs, that many new approaches to therapy have developed. Beyond traditional group therapy sessions, the counselor may offer alternative options that enhance personal development during the outpatient treatment process. Familiarity helps many addicts with recovery, so counselors may arrange for groups to be composed of similar individuals. For example, teens may feel more comfortable opening up to other teens or young adults. Women may feel more comfortable speaking about their drug experiences with other women exclusively. Because war veterans have had such unique experiences, often groups will be made up entirely of those who have returned from war. Because spirituality is key to many of the twelve step programs that founded addiction treatment, some counselors may place greater focus on God as a means of personal growth and support. Prayer and Bible study may make up many sessions or be intermingled with traditional group therapy practices. Some counselors feel that the group session itself may be too limiting, especially for addicted individuals who haven’t experienced much of life outside of drugs. Experiential therapies use experiences from arts and crafts to fitness challenges and even canoe trips to broaden the horizons of patients and help them see the energy and value of a sober life. Because family is so important to the recovery of an addicted individual, family therapy is often a choice recommended by recovery specialists. When fellow family members are also experiencing addiction, family therapy tries to prevent that influence from causing a relapse in the recovering individual. To do this, family become a part of the therapy group, partly to help the addict confront issues of addiction and become an influence in helping other family members seek recovery. In other instances, the damage done by an addict while addicted causes bitter resentments and sometimes an unwillingness to forgive. Family therapy becomes a powerful tool to help heal those negative feelings which may drive the recovering addict into isolation and possibly relapse. Reuniting a family in sobriety becomes the mission of a counselor in family therapy outpatient programs. The primary goal of aftercare is to ensure that the recovering addict remains sober. Because addiction can sometimes be a life-long struggle, many strategies and approaches have been developed to maintain sobriety once inpatient treatment or outpatient programs are finished. The foundation of the treatment of alcoholics was the twelve-step program. This program was so successful that to this day it is the cornerstone of addiction treatment. Using the goals of each step, the program encourages addicts to move forward toward sobriety. Many programs that meet regularly to help recovering addicts focus on specific addictions. Along with the continued support of aftercare programs, the recovering addict must now rebuild a life in a sober world. There are continual risks for relapse. The stresses of sober living can negatively impact someone on recovery. Pressures at work, school and even family life can trigger a desire to slip back into addiction. Old friendships forged under the influence of drugs may be rekindled. If those old friends are still using, then the influence is strong to join them in their activities. Triggers abound in a sober world. The name of a street corner where drugs were purchased brought out in a conversation or heard on the news initiates thoughts of drug use. Perhaps dealing with a certain family member such as a mother or father with whom a difficult relationship still exists can trigger a relapse. Beyond all the treatments, the focus of the recovering individual is to remain on a sober track. Recovery treatment only helps bridge the gap between full-blown addiction and a sober life. Once there, it becomes the recovering individual’s purpose to remain sober.